The sailfish have pitched up exactly on time off Bazaruto and it looks to be another great contest. The ladies will have to fend off some serious competition from the experienced local and visiting field – in this exclusively release event. They are: Susana Vidal, Dee Lou and Gretha DeWet pictured above at Vila do Paraiso, Vilanculos, Mozambique. The weather looks a bit otherwise at the moment but it should be clear skies and sailfish bites over the fishing window of 22 to 26 May. May is renowned not only for the sailfish – but also the great weather. 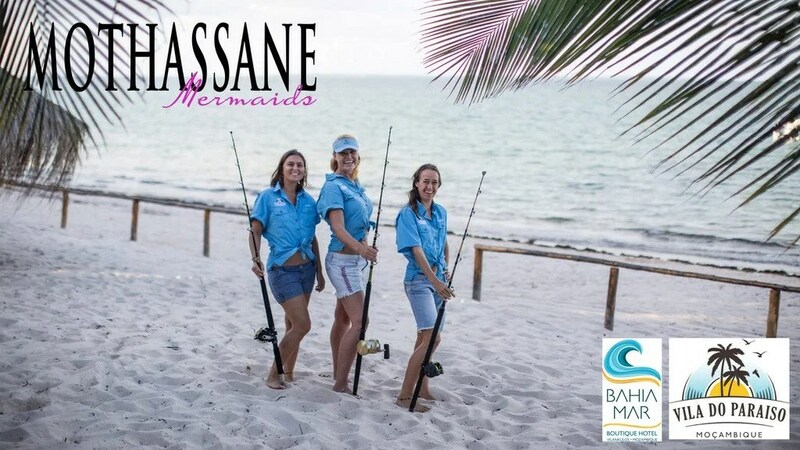 The competition will be hosted at Villa Paraiso, a top notch resort that looks straight out over the islands of Bazaruto, Benguerra, Margaruque and Bungue – and the clear blue waters of the magnificent Bazaruto Archipilego. Just outside of these islands, lies the deep water that contours the Mozambique Current right in close. Real close. With ideal sailfish territory built in like huge canyons and drop offs – reef pinnacles everywhere. And bait to beat the band. Don’t forget your Mydo Baitswimmers! 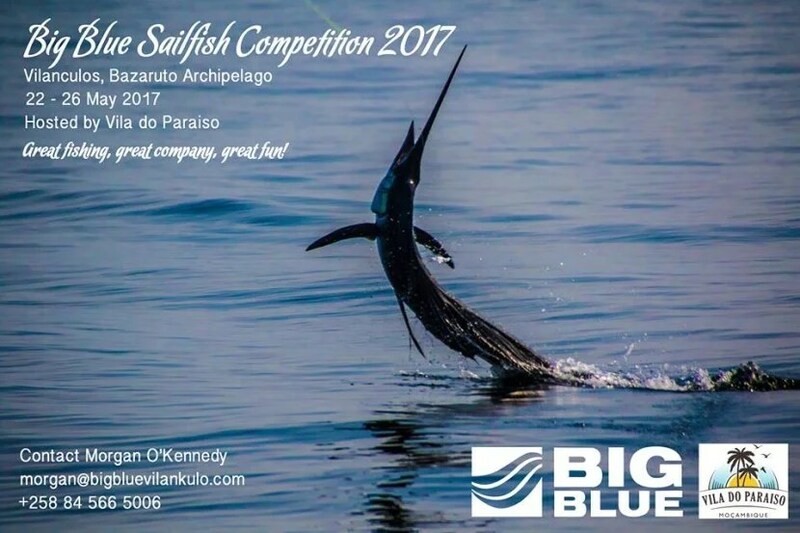 Contact Morgan O’Kennedy at Big Blue in Vilankulos on morgan@bigbluevilankulo.com for more information or to get involved and enter. The Sardine News will be running almost live stream directly from the competition – maybe even direct from the boat, with some luck and signal. For more information on fishing for sailfish off Vilankulos, click on over to Captain Duarte Rato’s website FishBazaruto.Com…http://fishbazaruto.com.